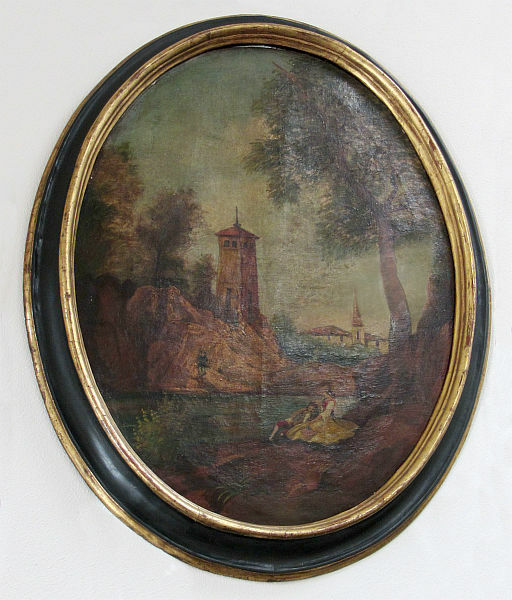 Pair of Italian landscape paintings. Oil on canvas. 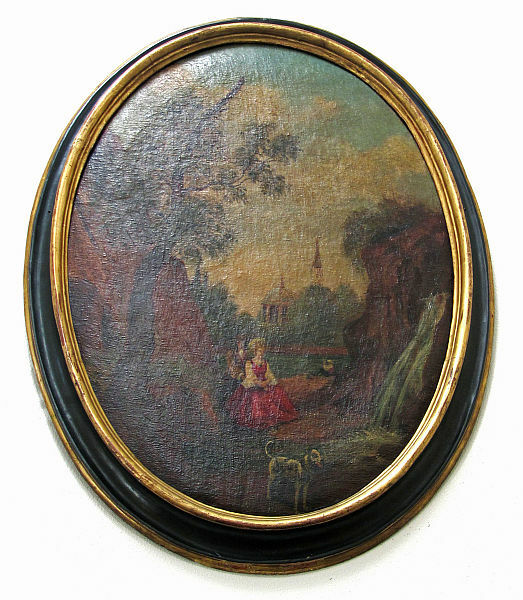 Oval form with conforming black and gilt wood frames.